Cite page (MLA): Wisnicki, Adrian S., and Megan Ward. "The Livingstone Online Digital Collection." Livingstone Online. Adrian S. Wisnicki and Megan Ward, dirs. University of Maryland Libraries, 2016. Web. http://livingstoneonline.org/uuid/node/91f40778-9b1b-495e-80ff-c10fe1d903c8. 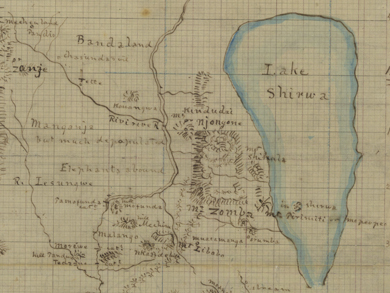 This page describes the scope of the Livingstone Online digital collection and enumerates the various methods available for encountering this collection. Livingstone Online offers a critically-mediated encounter with the literary and visual legacy of David Livingstone. At the heart of our mission lies our digital collection, which consists of images, transcriptions, and individual item records (i.e., metadata) for a broad range of literary and material artifacts produced by Livingstone or related to his travels and legacy. Currently our published digital collection spans over 1,100 items consisting of 15,000 curated digital images (including 3,000 spectral images) and 780 edited and encoded transcriptions. The items we published derive from the physical collections of over 40 repositories around the world; in many cases, these represent all Livingstone manuscripts held by those repositories. Although the digital files cannot replace the experience of interacting with the original items, the files nonetheless enable individual and comparative encounter with the items in ways difficult if not impossible in the real world. Collections of Livingstone's letters to key individuals in his life such as Agnes Livingstone, Robert Moffat, John Murray III, Roderick Murchison, and John Kirk. 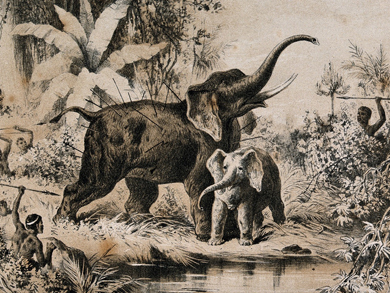 Additionally, we publish curated images of unique contextual materials such as painted magic lantern slides, publisher estimate books and trade advertisements, nineteenth-century illustrations of Livingstone's travels, promotional materials from films based on Livingstone's life, Livingstone's pocket Bible, and even Mary Moffat's wedding ring. Our digital catalogue – the largest catalogue of Livingstone and Livingstone-related items ever created – encompasses nearly 3,000 items and serves as the gateway to our digital collection. Users can also search any combination of images, transcription, and item records from the search bar in all our page headers or browse our digital collection by Livingstone's correspondents, the diverse repositories with Livingstone materials, a timeline that plots all items chronologically, and a map that links items to the geographical locations where Livingstone and others created them (coming fall 2017). For items published in our digital collection, users can view images and transcriptions online or download archival packets. These packets, which contain high-resolution JPEG images, critically encoded transcriptions, and a variety of supporting files, enable users to study our materials on their computers or to engage in advanced computational analysis of our files. We also allow users to download our complete set of PDF reading copies of individual items based on those TEI files. Scholars and others with research needs can also contact us for direct access to many of the archival-quality TIFF images from which our site images derive.